There is about to be a little more amazing dessert in the world when the Dessert Club opens in New York’s West Village November 8. Pastry chef Chika Tillman’s newest operation will combine the best of her landmark pastry-tasting bar and her existing takeout offshoot in the East Village. 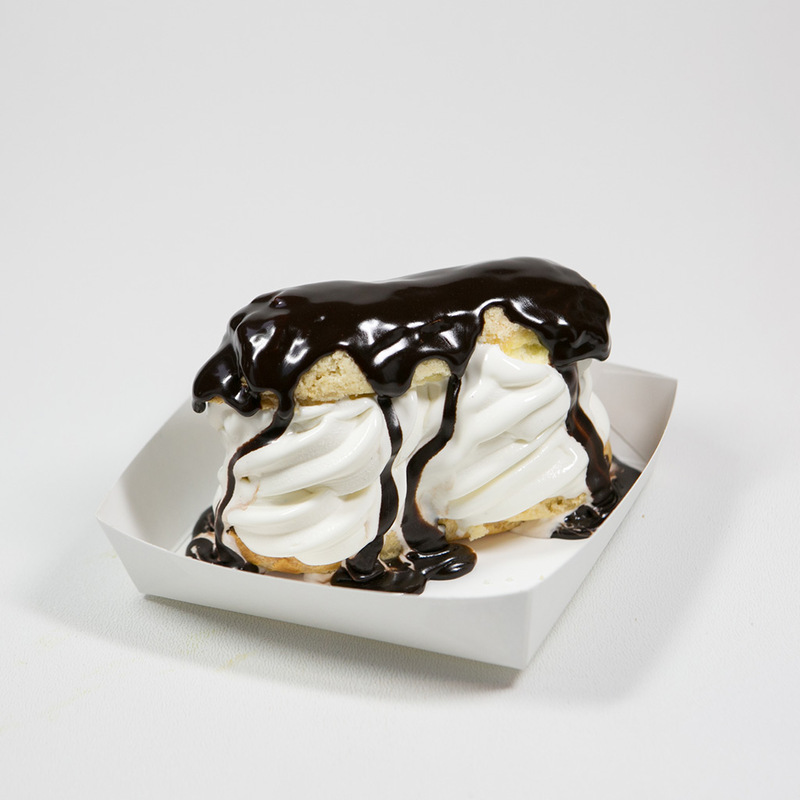 But the latest location will offer a whole new set of sweet, creamy, chocolaty surprises. Chika and her executive chef, Maya Sittisuntorn, have promised a constantly changing menu. But one thing we’re jonesing for is the team’s unusual sundaes, made with exceptional vanilla bean soft-serve. Here, an early look at some the ice cream that will haunt your dreams through winter and summer. Vanilla soft-serve with frosted pecans, salted caramel sauce and a shot of espresso. Vanilla and banana soft-serve with sliced banana, Biscoff cookie crumbs, vanilla anglaise sauce and brown sugar cookies. Green tea soft-serve, frosted pecans, roasted pistachios and warm brownie squares. Vanilla soft-serve with vanilla genoise cake and fresh strawberries. Vanilla sugar cookie éclair cone filled and topped with vanilla or green tea soft-serve.